Our office staff is just that, OUR office staff. Trained and local to serve you in person, not a voicemail system or remote call center hundreds of miles away. They know what"s going on in your area because they live here too. If all the above still doesn"t have you convinced we"re the company for you, check out our ratings in the Delaware Valley Consumer Checkbook or on Angie"s List where we earned the Super Service Award for 2011, 2012, 2013, 2014, 2015, and 2016 and also the 2012, 2013, and 2014 Readers Choice Award from the Daily Local News. Quick, courteous service with good advice. It is great to hear that we have been able to provide quick service that you can count on. We are here for you if you have any concerns. William, We are happy to hear you have no complaints and we want you to know if something comes up we are here to work with you. Thank your for the 5 star rating and for being a loyal customer! They said 3 days and they were correct. Yay! No signs of odorous house ants. Thank you to Masters Touch for sending Ernesto and Kurt my way! They caught the sneaky RAT😳 that was hiding in my basement ceiling for 2 months!! Thanks again Joey!! Finally getting a good nights sleep! Hi Leta, We appreciate your patience as we worked through the situation. Thank you for sharing your comments! Very professional, polite, Haven't had any problems with pest. Since Master Touch. Antoinette, Thank you for the opportunity to provide service for your home and for sharing your thoughts about Masters Touch! We have been customers for over 20!years. Always have been very happy with professionalism and prompt service. Michael, Thank you for allowing us to provide services for your home for more than 20 years! We look forward to continuing our great relationship! 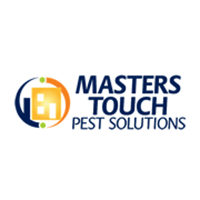 Master Touch Pest Solutions has serviced my home for eleven years. I am pleased by the professionalism expressed by the office staff and technicians. I have peace of mind knowing I am protected from common pests as well as protection to the structure of my home. I appreciate knowing Master Touch Personnel quarantee the solutions they provide. Marie, thank you do much for choosing Masters Touch for your pest control needs. We appreciate your business and are so happy that we have met your needs for the past 11 years! We look forward to serving you for many more years to come! Professional technicians who are consistently polite and efficient. Thank you so much for your kind words and your loyalty! The technicians who service my home are both polite and well informed. Sarah, We strive to provide the best customer service possible. Thank you for recognizing our efforts and sharing your thoughts! We are always pleased with the quality of service and attentive staff. Thank you! Thank you for choosing Masters Touch for your pest control provider and for your comments! We are so glad to hear you are happy with our services. Thank you for sharing! I am very happy with the customer service and expertise of the technicians. Jeff and Joe have been persistent and dedicated to riding my home from rodents. I would (and have) highly recommend them. Paul Scarola. We are so pleased with the quality of your products and service. Our technician is very knowledgeable, competent, and personable. Thank you. Excellent responsiveness to calls and questions. The employees are knowledgabl, professional, courteous and very thorough. Great company!! Great service!! I have been using Master's Touch for years, without any issues!! I really appreciate the service provided by Master’s Touch! The technicians have been very knowledgable and explained what they were doing and answered any questions we have had. I have a SERIOUS (and irrational, I know) fear of spiders—especially the large black ones that used to invade our home in October and November—and Master’s Touch has kept me “safe.” And, really, I can’t say enough good things about their technicians! Thank you for sharing your thoughts about Masters Touch. Spiders are concern for many customers and having a maintenance plan is a great way to keep them under control. We appreciate your business! We appreciate your feedback and will strive to continue providing excellent service for our customers! Masters Touch has given us control over carpenter bees who used to love our cedar siding. We recently had an issue with mice getting into the basement. Service was good, thorough, educational and they have a follow up plan in 10 days. They are always reliable and get the job done. It's great to know that you reached out to us when a new issue came up and we were able to get the situation under control. Your loyalty means t so much to us. Thank you! Very happy with the service of Masters Touch Pest Solutions. The technician (Joe) was very responsive to my concerns and explained everything he did during today's service. We are so grateful that you took the time to share your experience with Master Touch. Thank you for your continued business! They did exactly what they said - showed up on time, the technician was professional and very thorough, and I haven't seen a spider since! We are glad to hear that you have had success with our treatment. Please keep us posted if you have any concerns before your next scheduled service! Very pleased with Master's Touch. Great, effective service and polite, knowledgable employees. Love my bug company!! What great words to hear! By the way, we think we have the best customers too! Great service by great people at a great price. Thank you for taking the time to share your thoughts and for the great review! Always professional and prompt service. I recommend Masters Touch to everyone. Thank you for all your recommendations, we truly appreciate you spreading the word! They are a great four words to hear from you. Great words to hear from one of our customers. Thank you for taking the time to share your experience with us! The technician was very friendly and helpful.I am very glad i chose masters touch for my pest control needs. I was very impressed with your service. You were prompt and offered very clear explanations and corrected all the problems. I will highly recommend Masters Touch to all my friends. Joey Salas, our technician, was exceptional. Sincerely, Kris Hackett. Hi Kris, We appreciate that you took the time to share your experience with the team here at Masters Touch! Please let us know if we can help you with anything in the future! I am very satisfied with Masters Touch. They are eager to work you regarding pest control. They show on time, listen to what your concerns are and the do something for your concerns. Always helpful and explain what they are doing for us. We love to work with our customers to achieve the results they need. Thank you for allowing us to provide services for your business! I think the mice are gone from my attic. First time in 19 years. Your technician Gary has gone all out to treat for this problem. We are very happy. Joe, It is great to hear that your home is mouse free! We hope we are able to continue to provide services for you in the future! We have been using Master’s Touch for about 8 years now and they are consistently good. From the office to the people who come out to inspect and spray, they are responsive, friendly and good at what they do. We are having a wedding here in 5 days and I just discovered a big yellow jacket nest next to our driveway where 100 people will be walking. I callled Melanie and she had someone here within 3 hours to take care of the nest! That’s great service! I am so glad we were able to meet your needs with such an important event coming up. We appreciate your loyalty over the past 8 years and will continue to offer you the best pest service available! Masters Touch Pest Solutions was very responsive when I called about an ant problem I am having at our house. I decided to go with the yearly agreement since it was more practical. Two days after the bait was applied, I am still seeing ant activity but Masters Touch did explain that I will see that as the ants are carrying bait to their colonies. If I do not see an improvement in 2 weeks than they will come back out but they should be eradicated. I will know more about their service as they come out more next year but I have been happy with their customer service. Thank you for choosing Masters Touch for your pest control needs. We are confident that we can eliminate your current ant problem. Please contact us if you are still having an issue. We will be here for you! Reliable fast and honest. W.
So glad we were able to offer you the quality of service you were looking for. Thank you for your feed back! Fast, competent service. Fair prices. Pleasant people to work with. I am a return customer and will call them again if (heaven forbid!) I need to. It is great to know we are your go-to pest control company. We appreciate your return business very much! Very thorough service with repeated back checks. Thank you for your great feedback! Let us know if you need any further assistance! Masters Touch has stellar customer service from the office to the onsite services. The technicians are always efficient, reliable and respectful. It is so important to have pest control at our lovely salon. Owner, Reveal Salon For Women. Hi Susan, We appreciate your loyalty and are thrilled to support other local businesses in our community! Happy with this service they have come out whenever I find issue, courteous and knowledgeable. Nancy, We appreciate your kind words and are glad we have been able to keep your home pest free! Your technician Joe M. did an excellent job today. He was very knowledgeable and thorough. I will be sure to request him for future service. Thank you for your comments. We are happy to have a great team working with us to deliver great customer care! We are very pleased with Masters Touch Pest Solutions. Our initial assessment was performed by the owner, Jeff, who eased our worries of termites, followed by informative treatment for a very complicated bee problem. He provided reasonable options in an professional, no-pressure manner. Mike our technician was prompt, knowledgeable and thorough. Our bee problem required 2 treatments (which was explained and anticipated) and follow-up was scheduled without delay. We feel very satisfied with this company and know they will honor our contractual needs. Thank you for the great feedback! We appreciate you taking the time to share your thoughts and are so glad we were able to ease your worries and take care of any existing concerns. Joe was professional,He got the job done quickly. Great news and thank you for sharing your feedback on our technician and service!